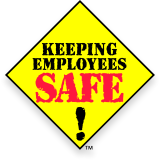 A manufacturing facility has 130 separate Lockout Procedures. Many of these procedures are unique, and apply to specific pieces of equipment. Some of these procedures, however, are duplicate and address pieces of equipment that are essentially identical to another piece of equipment. The facility has 40 employees authorized to implement the 130 procedures in performing service and Maintenance covered by the Lockout/Tagout standard. The employer has implemented the following procedure for conducting periodic inspections: for the specific energy control procedures, each of the authorized employees is observed by another Authorized Employee performing a complete Lockout of at least one piece of equipment or machinery utilizing each one of the separate energy control procedures. The employer documents each of these inspections. However, there are more specific procedures than there are authorized employees, so consequently some of the specific procedures are not observed being implemented. Instead, these procedures are inspected by holding meetings with small groups of authorized employees responsible for service and Maintenance on machines or equipment covered by the procedures being reviewed. At these meetings, the relevant procedures are reviewed by the group to ensure that they are understood and effective, but actual lockout implementation is not required during the inspection. Does this scenario meet the standard's requirement that the employer conduct a periodic inspection for all energy control procedures? The periodic inspection must be conducted by an Authorized Employee other than the one who implements the procedure. This authorized employee is designated by the employer as an inspector. He or she must observe the procedure being implemented by a representative number of authorized employees and must talk with all other authorized employees, even though they may not be implementing the Energy Control Procedure. Of the 130 energy control procedures, the employer is only required to perform a periodic inspection on each of the unique energy control procedures. The inspector or inspectors performing the periodic inspection must observe the implementation of each of the 51 energy control procedures by a representative number of authorized employees. For each procedure, the inspector must also conduct a review with all other authorized employees involved in implementing the Energy Control Procedure to review the procedure and their responsibilities under it. Because the employer's inspection protocol does not include a review of each separate procedure with all authorized employees who may have responsibilities under it, the protocol fails to comply with section 1910.147(c)(6)(i). Observing only a single Authorized Employee implementing each Lockout Procedure, rather than a representative number of employees, also does not meet the intent of the standard. Moreover, the employer's use of group meetings to review the energy control procedures where implementation is not actually inspected also falls short. This is because the implementation of each separate Lockout Procedure may be observed by a representative number of employees. For more information: Refer to the part 1910.147(c)(6)(i) of the Lockout/Tagout standard. Of the 130 energy control procedures, the employer is only required to perform a periodic inspection on each of the unique energy control procedures. The inspector or inspectors performing the periodic inspection must observe the implementation of each of the 51 energy control procedures by a representative number of authorized employees. For each procedure, the inspector must also conduct a review with all other authorized employees involved in implementing the Energy Control Procedure to review the procedure and their responsibilities under it. Because the employer's inspection protocol does not include a review of each separate procedure with all authorized employees who may have responsibilities under it, the protocol fails to comply with section 1910.147(c)(6)(i). Moreover, the employer's use of group meetings to review the energy control procedures where implementation is not actually inspected also falls short. This is because the implementation of each separate Lockout Procedure must be observed by the inspector for a representative number of employees who implement the procedure.